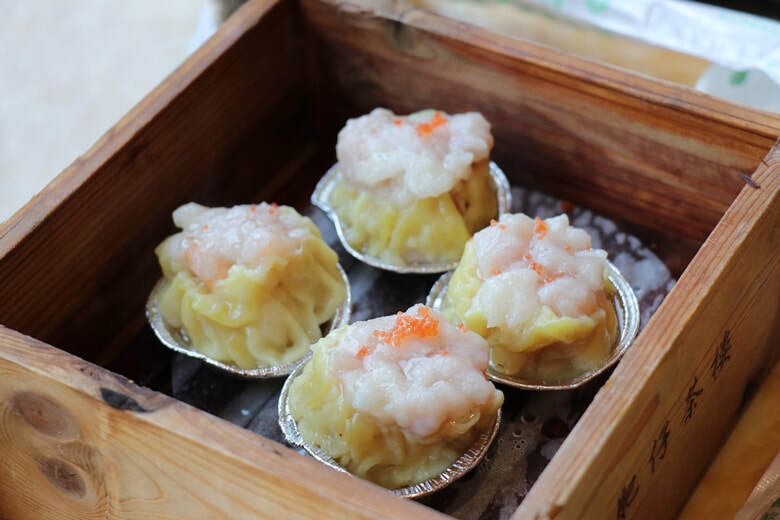 A tour focused on the foodies! 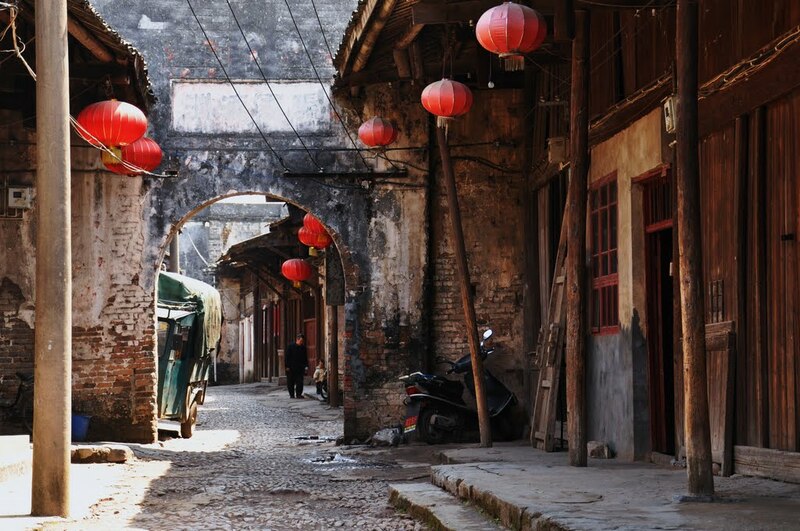 ​Join our team for this cuisine-focused private guided day tour around Guilin City, which includes a visit to a variety of different attractions as well as a deep-dive into local Guilinese and Chinese cuisine. 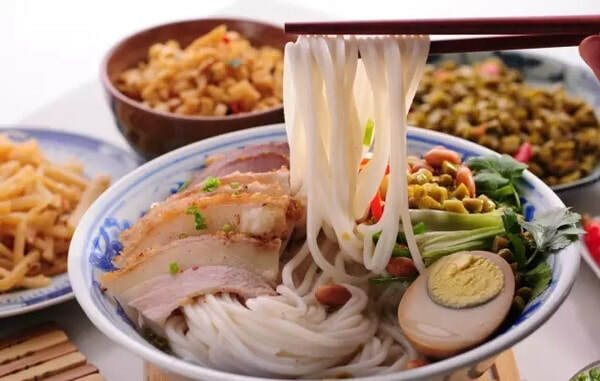 Taste the famous Guilin Rice Noodles directly from a local shop that has a history of over 100 years in Guilin! Meet your tour guide at your hotel lobby in the morning and travel to a local Rice Noodles shop to eat Guilin's famous cuisine (Guilin Rice Noodles) for breakfast. The shop is famous among local Guilinese and has been operating within the one family for over 100 years (plus the noodles are considered the best in Guilin!). 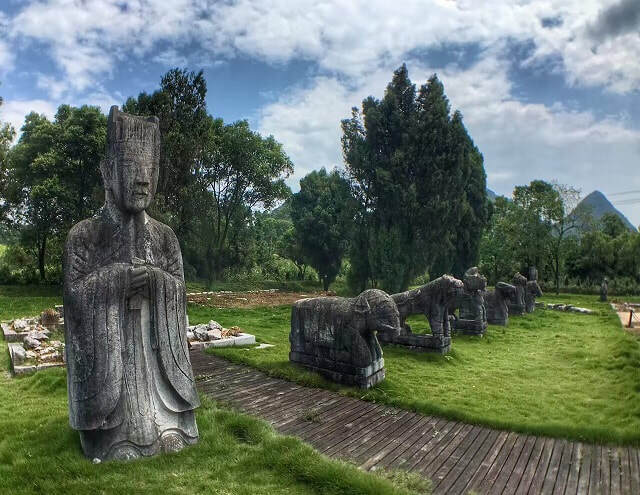 Thereafter, go back in time at an off-the-beaten track Ming Dynasty Tombs cemetery - with many tombs deserted in the Guilin countryside. These are quite isolated and a different type of experience compared to just visiting the popular tourist attractions. During the afternoon, return to Guilin City and visit Fubo Hill - which also involves an uphill walk to get beautiful views overlooking the city of Guilin. 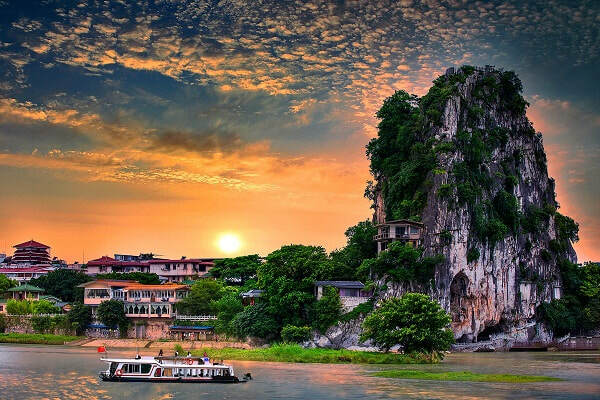 Fubo Hill is a famous Karst Mountain within Guilin. 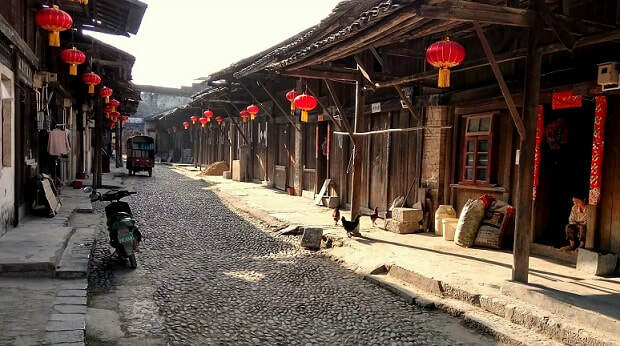 In the afternoon, walk to the city center along the banks of the Li River and see the Shuangta Riyue Cultural Park (Sun and Moon Pagodas). The Guilin Pagodas are located in the central lakes area - a famous feature of Guilin City, especially in the evening! After visiting the pagodas, the evening food tour will begin with a delicious dive into some more local Guilinese cuisine. 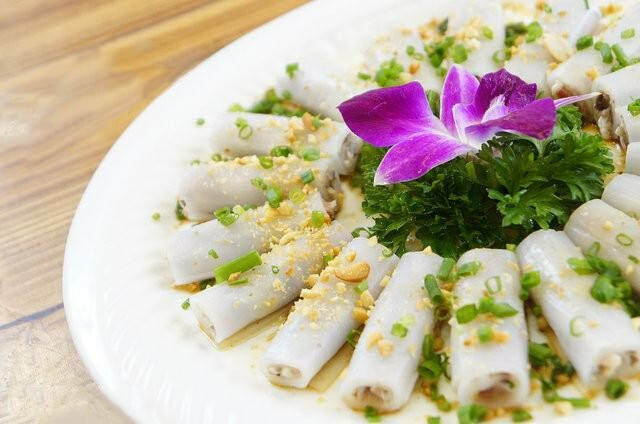 For dinner, taste some Oil Tea, which is a unique dish to Guangxi Province as well as some other local dishes during an evening Guilin Food Tour. The tour will conclude following your meal with a transfer back to your hotel.